Indian cricket captain MS Dhoni has beaten him to be the most valuable player in this year’s edition of Indian Premier League (IPL) that begins in South Africa on April 18, 2009. 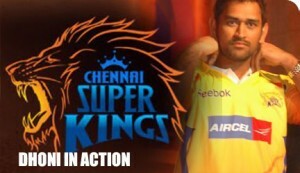 The Chennai Super Kings’ skipper attracted the highest individual insurance cover of $10.5 million, or Rs 52 crore, as the eight IPL team owners finalised policies for all 120 auctioned players against personal accidents, mediclaim and baggage losses with Oriental Insurance Company (OIC) for a total cover of $286 million, or Rs 1,340 crore, an OIC official said. Extreme Rules 2014 - The Evolution vs The Shield Who will win?